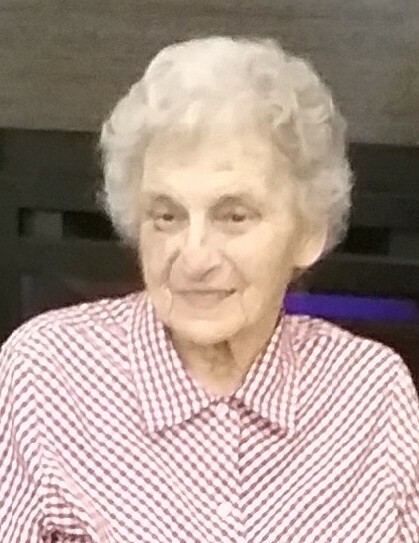 Jean M. Mapus, 95, of Fremont, died Thursday, February 7, 2019 at ValleyView Healthcare Center in Fremont. Visitation will be 2-6:00pm Sunday, February 10, 2019 at the Mitchell-Auxter Funeral Home and Cremation Service, 218 South Main St, Clyde. Her funeral mass will be 11:30am Monday, February 11 at Sacred Heart Catholic Church, 550 Smith Rd, Fremont with Rev. Krzysztof Kardzis officiating. Additional visitation will begin at 10:30 AM at the church on Monday. Burial will follow in Ellsworth Cemetery.